Arsenal transfer chief Sven Mislintat has been quoted as lavishing Barcelona forward Ousmane Dembele with praise amid transfer rumours linking him with the Gunners. 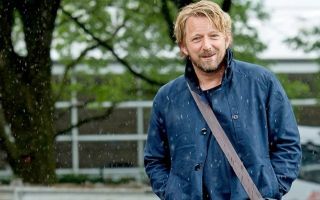 Mislintat signed Dembele for his old club Borussia Dortmund, and has been quoted as defending the France international against accusations of him being a difficult character to manage. The German, who joined Arsenal last season as head of recruitment after an impressive record at Dortmund, has already raided his old club for Pierre-Emerick Aubameyang and Sokratis Papastathopoulos, while Henrikh Mkhitaryan, who joined as part of the Alexis Sanchez deal with Manchester United, is also a former Dortmund player. Don Balon recently reported of Arsenal stepping up talks to sign Dembele for a deal worth roughly £80million in total, so it may be that Mislintat is planning to use his Dortmund connections again here. Either way, it seems the Gunners official is a big fan of the youngster, and has been ever since he first watched him play. ‘I saw him, he had not even played for Stade Rennes in the first team,’ he told Zeit. ‘I bet he did not know which foot he used in certain situations because he just did not think about it. ‘I felt this is a really special player. Shinji Kagawa was one of those. We were in Japan ten times, but actually I was safe after the first 30 minutes of play. Nobody could grab it. With one move, he changed the entire direction of the game. ‘The change (his departure from Dortmund) was made by the signatures of the club officials, not by a strike. As a club, we must channel the strengths and weaknesses of our players and stop complaining. ‘Ousmane did not come to training – right. But this ability to develop strategies to exploit every gap was worth gold on the field. ‘Ousmane decided to play games for us and was significantly responsible for the 2017 cup victory.